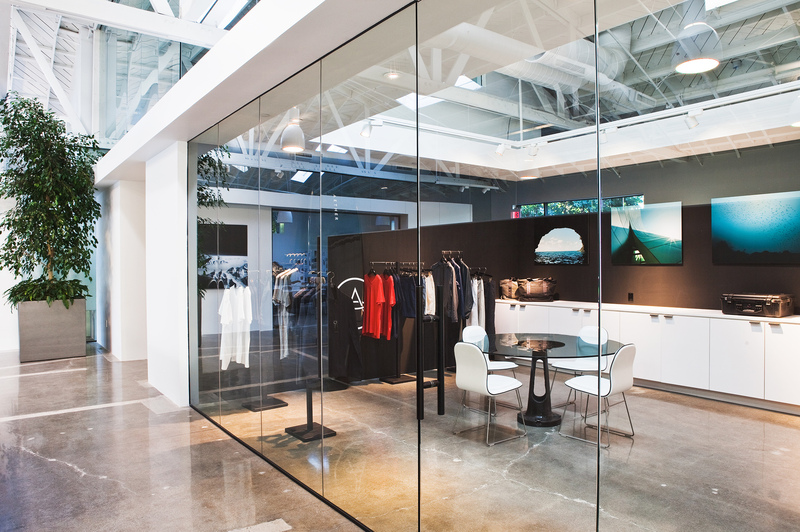 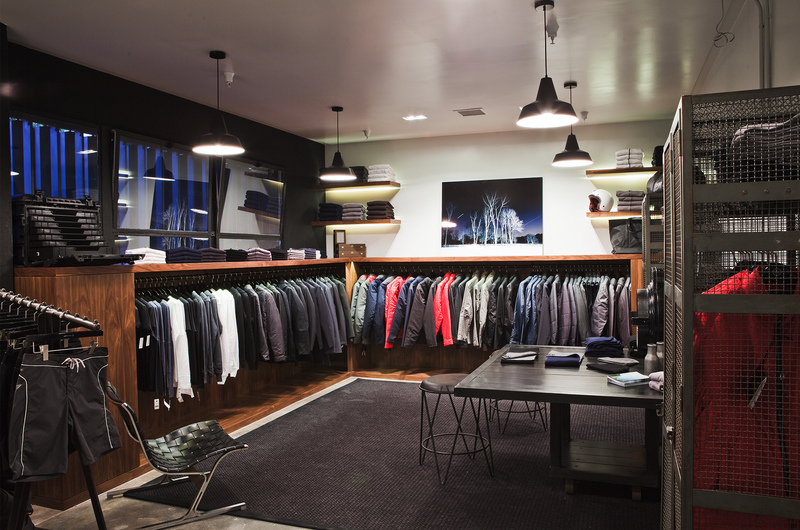 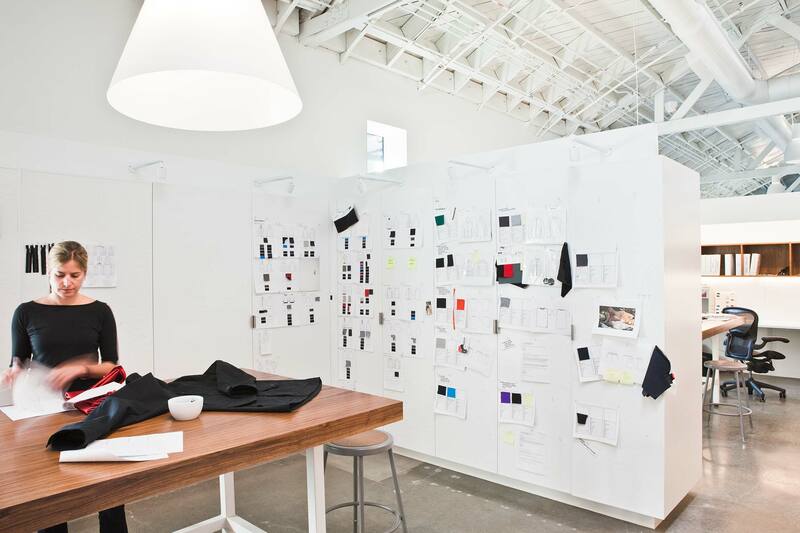 The renovation of an existing 1953 bow truss building presented a series of unique opportunities to create a dynamic new home for Aether Apparel. 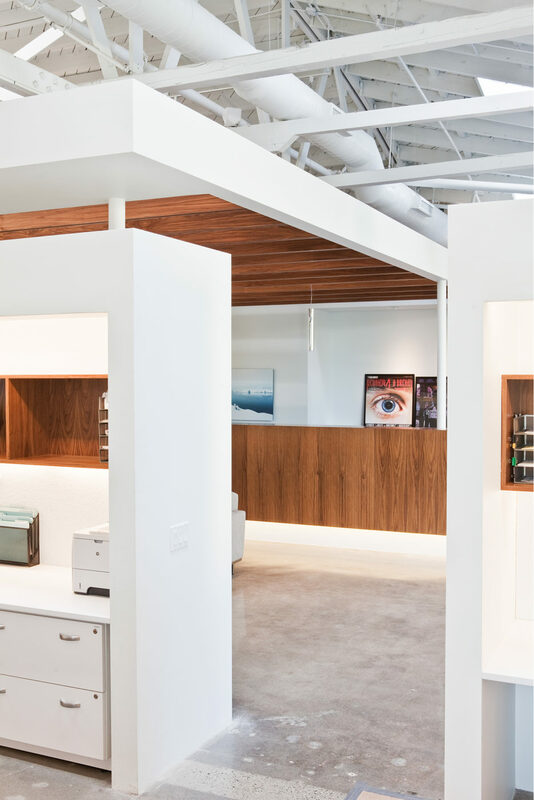 Their products reflect a pure expression of form and function and they wanted a designed space that echoed those same values. 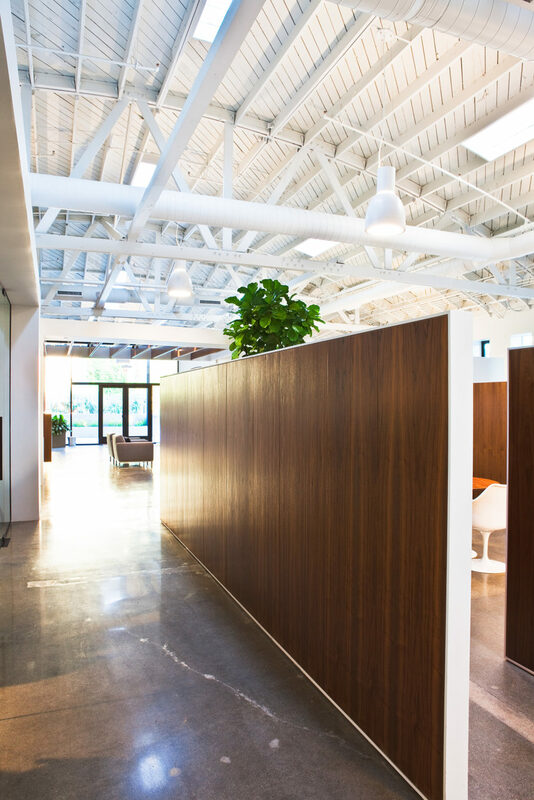 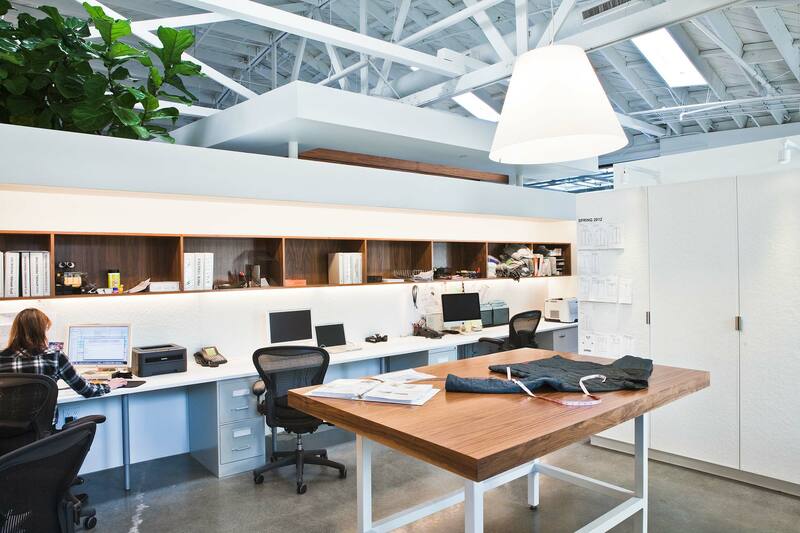 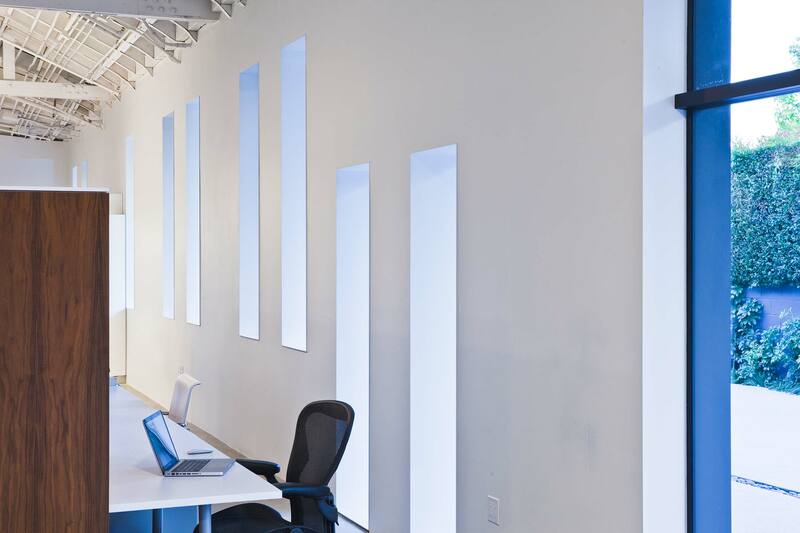 The solution endeavored to celebrate the original building by opening up the space and creating an open and airy space filled with natural light. 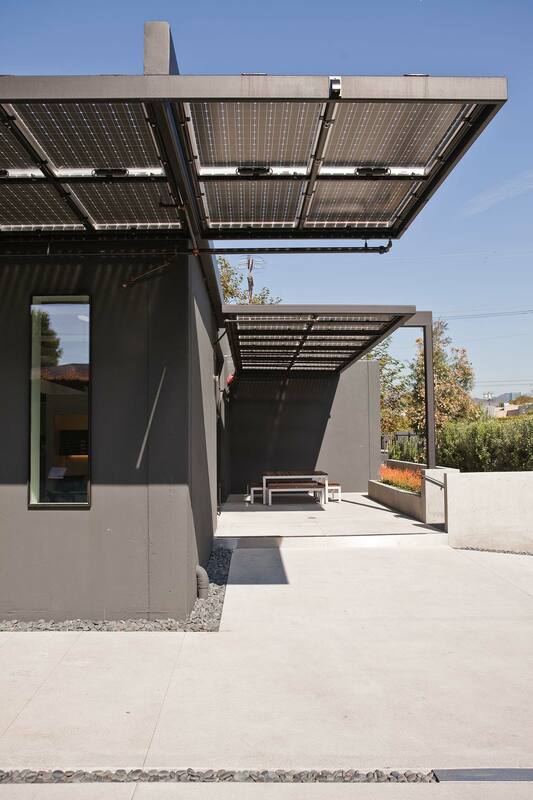 A cool roof made of foam was utilized to allow for all the wood structure and decking to be exposed, while also reflecting 80% of the sun’s rays. 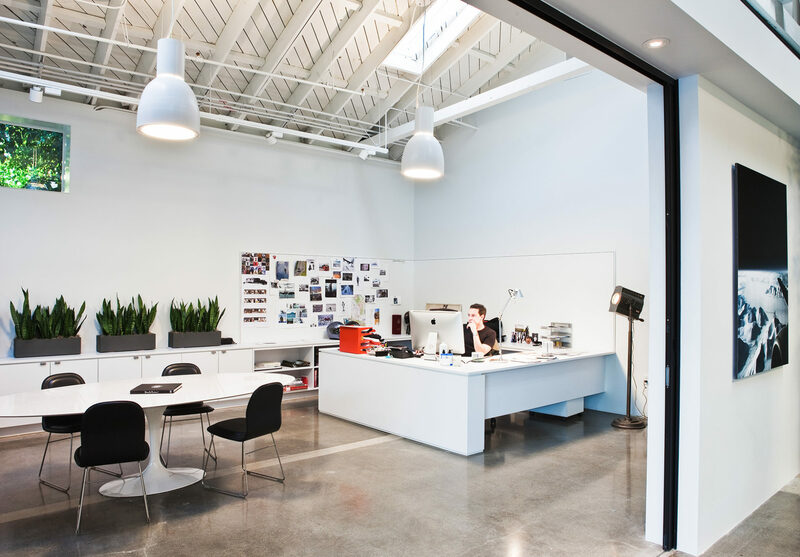 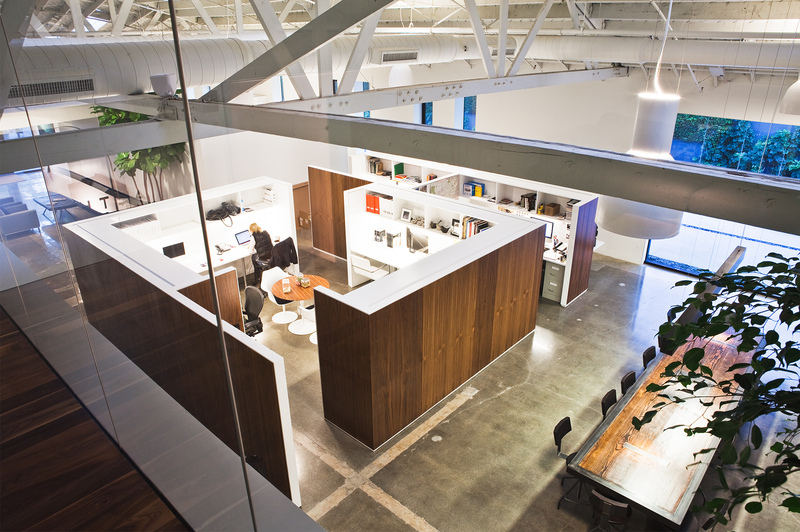 Through the use of simple modern materials the open plan allows for a free flowing work environment while allowing the users to experience the beauty and volume of the space. 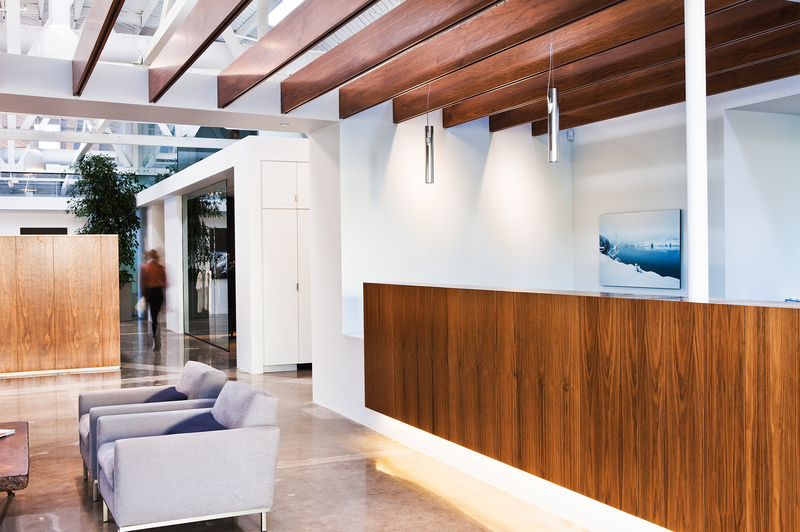 In the spirit of their extreme passion for the environment the clients wanted the project to utilize solar energy for all the electrical requirements. 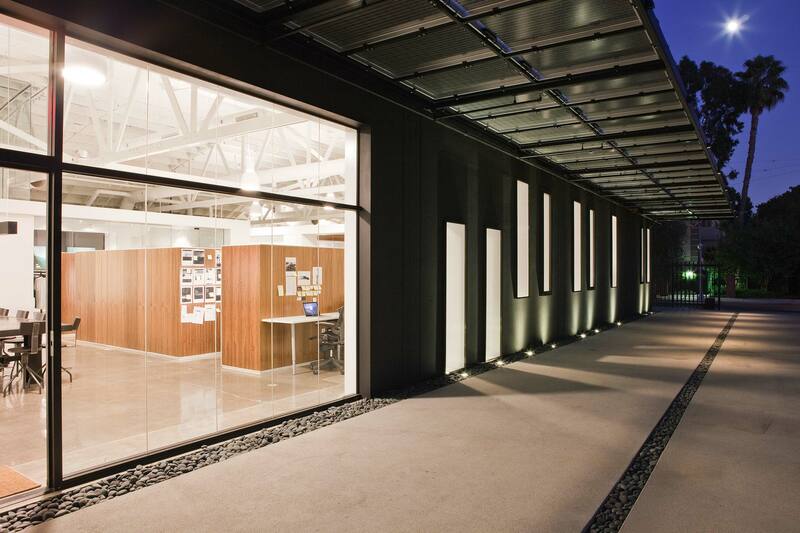 In addition, they also requested additional window openings along the southern façade. 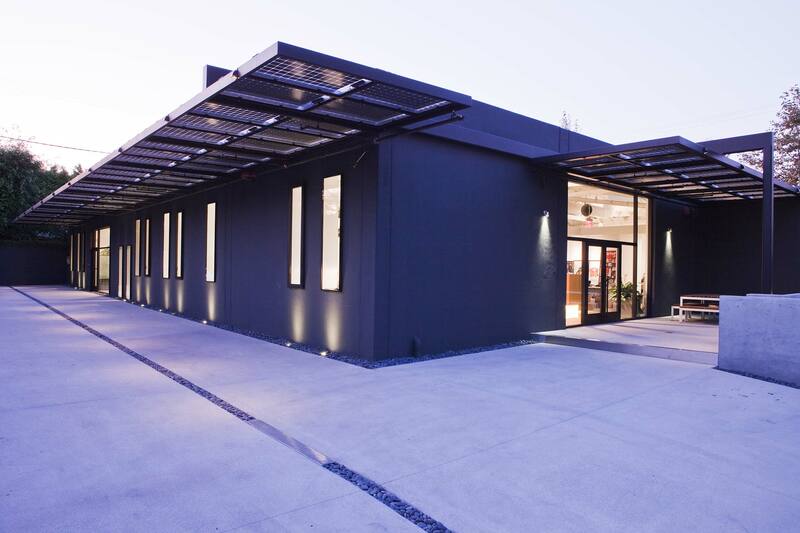 The addition of these openings in the southern façade presented a major heat gain issue, so the design solution was to create a canopy with a dual purpose. 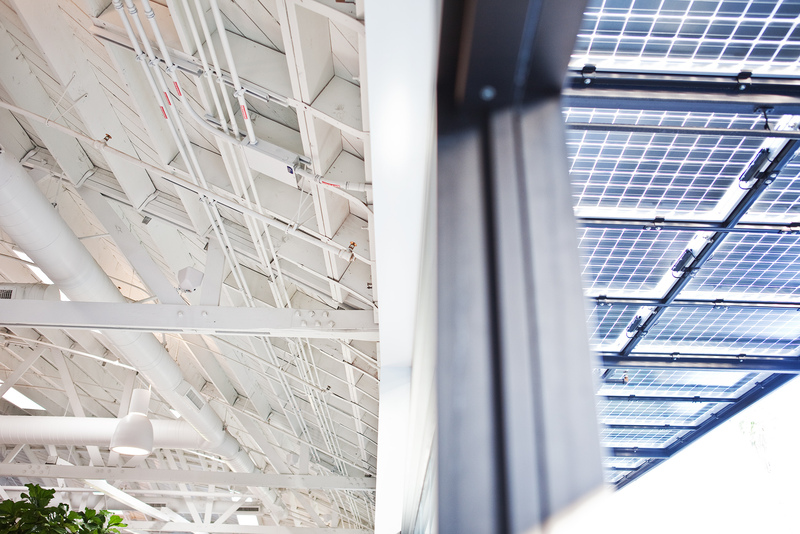 The canopy was created entirely out of solar panels, which provided shade from the southern sun, while also providing enough solar energy to power the entire office, with about 30% extra to put back into the grid.